In April, I read enough chapter ones from various books to equal the length of a short novel. I picked at books I've had going for a long while, a chapter or two from one thing, a short story from one anthology/collection or another. Not much is holding my interest. I think the problem is my general mood, rather than the material I've been sampling. I just haven't been able to figure out what it is exactly I'm in the mood to read. But I'll read through it. It will pass. I did manage to finish three books in April. 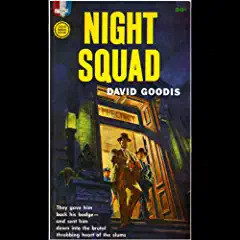 Night Squad, by David Goodis - A solid noir read. I'll be picking up some more Goodis for sure. 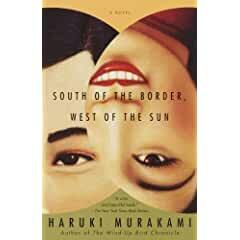 South of the Border, West of the Sun, by Haruki Murakami - A good book, but only an okay Murakami. 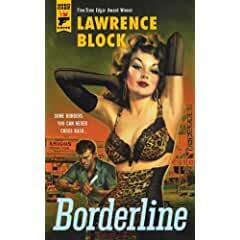 Borderline, by Lawrence Block - Repackaged, old-fashioned sleaze. 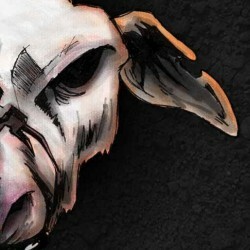 A serial killer amid sexual adventurers on the US-Mexico border.